It was another busy day at the 2016 MOLA (Major Orchestra Librarians’ Association) conference in Helsinki. The various venues at the Finnish National Opera house were humming with activity. I just finished giving my demonstration of the StaffPad music handwriting app. 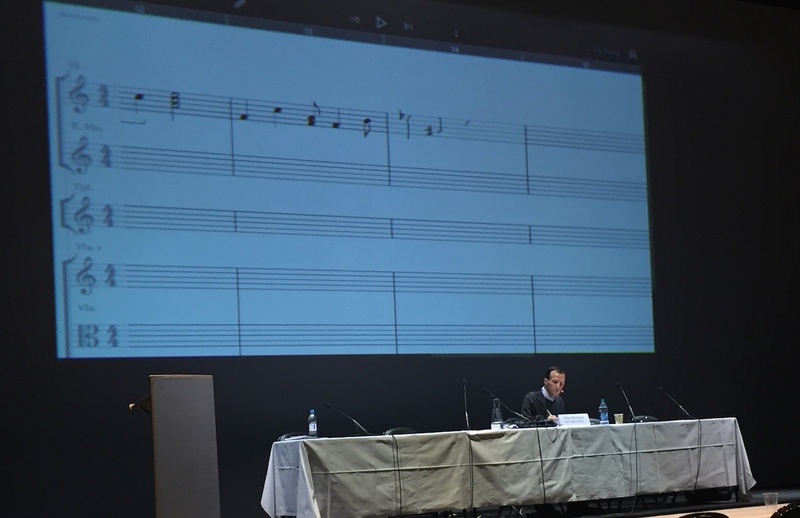 Other than the slight jet-lagged moment where I referred to StaffPad as “Finale…uh, Sibelius…uh, I mean StaffPad,” it was a treat to present this software to the delegates in attendance. Hopefully I can be forgiven, as hours earlier I gave a presentation on the basics of Finale, with a more advanced “user surgery” session to follow tomorrow morning. 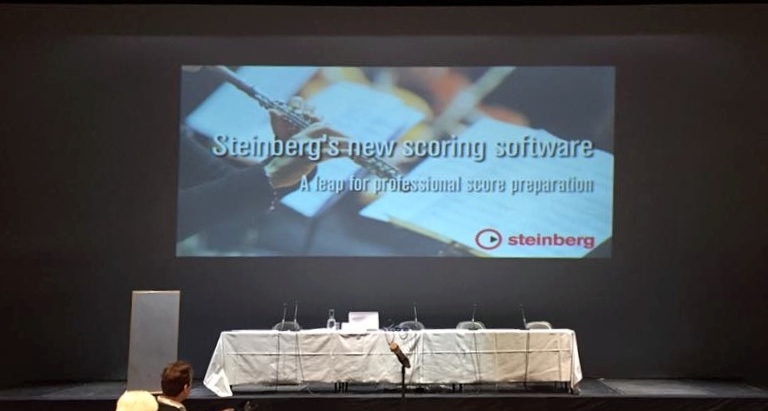 The presentation, described as the “world’s first public presentation of Steinberg’s in-development scoring application…built by the world’s most experienced scoring software development team,” was an overview of the software intended to be a competitor to long-established commercial products such as Sibelius and Finale. In Daniel’s introduction to the software, he rhetorically asked: “Does the world really need another professional scoring program? We hope the answer is ‘yes’.” He also said that he and the development team have been “incredibly lucky – Steinberg have been patient and supportive” in the more than three years that the program has been under development. During the presentation, Daniel covered all major aspects of the software’s engraving features, including the five modes of the program: Setup, Write, Engrave, Play, and Print. Those that follow Daniel’s blog will be familiar with his comparison of Steinberg’s output compared to other products, like when describing spacing algorithms. 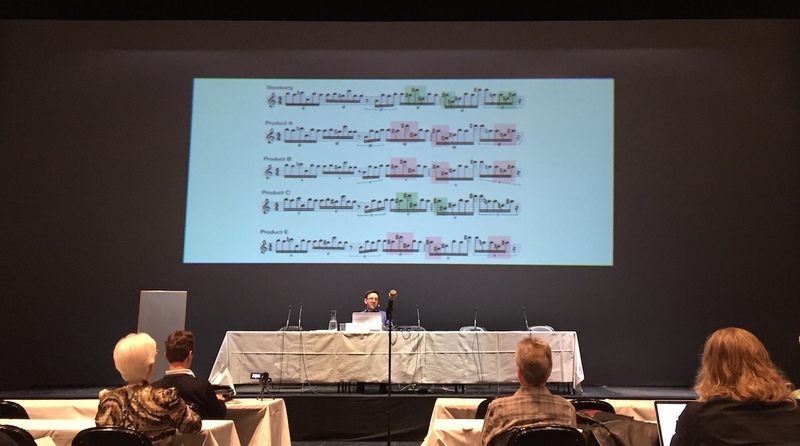 Daniel opened a number of MusicXML files in the new program and showed how it handled various engraving problems inherent in different musical situations, without making any further adjustments. As mentioned in yesterday’s blog post, Steinberg plans an official announcement of the software on Tuesday, May 17, and at their request we will refrain from publishing further details about the software until that time. There were so many other interesting sessions that I only wish I had time to attend them all. Today’s topics included Photoshop basics and user surgery, hands-on part preparation, Finnish music in the 20th century and beyond, preparing audition materials, music binding demonstrations, and seminars on publishing and copyrights. All in all, another fine day in the beautiful city of Helsinki. I’m looking forward to my joint presentation tomorrow with Daniel Spreadbury about the history of music notation technology. More updates to follow on Tuesday. Thanks for the updates, Phillip! Yesterday you mentioned there would be an announcement from Steinberg on Tuesday. Today, you wrote that the application would “launch” on Tuesday. Does “launch” mean “release” in this context? David: It will be an official announcement, not a release, as I understand. Sorry for the confusion. I will fix the post later! Question: With the official launch will you be posting an in depth comparison of the “New” program vs. Sibelius/Finale? Ralph: Not as of yet. I have been waiting for a long,long time. Now, it’s came. I hope that Peter Roos, (very friendly with Kangaroos), had seen it and :”Very cool”, he said. I haven’t seen it but I do hope that’s will be very cool too. StaffPad: Come on with iOS. Daniel & crew at Steinberg: BRING IT!!!! it occurs to me that it is a pretty high-powered gig to be doing presentations at MOLA. Congratulations, Philip!